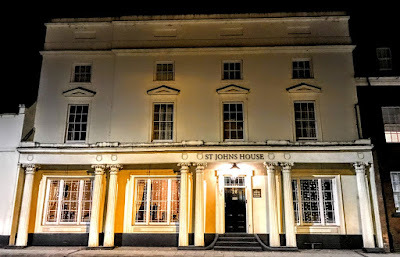 I have been staying overnight in St John’s House on Saint John Street, Lichfield, and plan to visit both Saint John’s Hospital, where the chapel played an important part in the development of my adult faith from the age of 19, and Lichfield Cathedral before catching the train to Birmingham for a meeting of USPG regional volunteers. I first stayed in this house about seven or eight years ago in March 2010, but have not been back since, usually staying at the Hedgehog Innkeepers’ Vintage Inn at the top of Beacon Street, on the corner of Stafford Road. 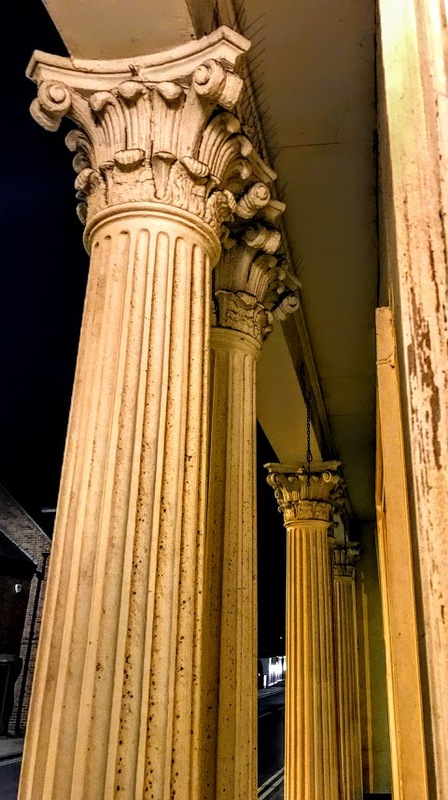 I was interested to learn last night that the four-bay colonnade at the façade of St John’s House is said to replicate the columns on the Tower of the Winds in Athens. St John’s House is an interesting house and one of the oldest houses in the centre of Lichfield. It is a listed grade II* Georgian house, and has been listed since 1952. Unusually for a house of this age, and despite two restorations in recent decades, it still has many of its original features – including the butler’s pantry (now the reception area), the servant’s bell pulls, the staircases, and the larder with the original pegs for hanging game. The renovations and restorations have been entirely faithful to the original plans for the house, and any alterations have used modern materials to show the evolution of the house for future generations. Johann and Sarah Popp bought the house in July 2003. At the time, they felt it was an extravagant outlay, and so they decided to finance their purchase by opening the house for bed and breakfast. Johann already had a passion for renovating Georgian and Victorian houses, using traditional methods. They planned to open for business within two years, and began renovating the house using traditional methods. 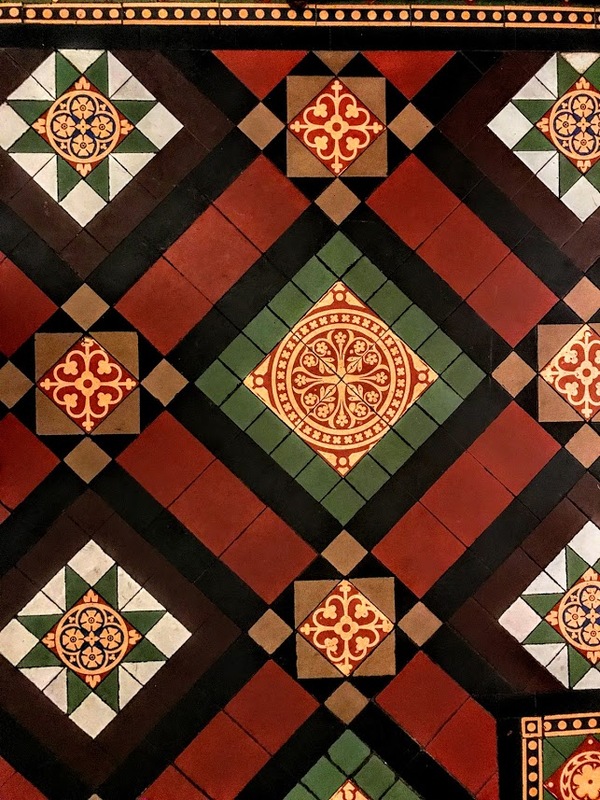 However, they soon realised that the house needed new drains, a new roof, there was a parapet wall that needed to be replaced, with fears it could collapse on pedestrians walking by below on Saint John’s Street. After visiting German relatives were overheard describing the house as the ‘Ice Hotel,’ Johann realised the central heating system needed replacing too. In addition, all of the electrics had to be replaced, and for the first two years the girls’ toilets – where one cubicle had been turned into a shower – served as the only bathroom in the house. Now the house has been totally transformed. 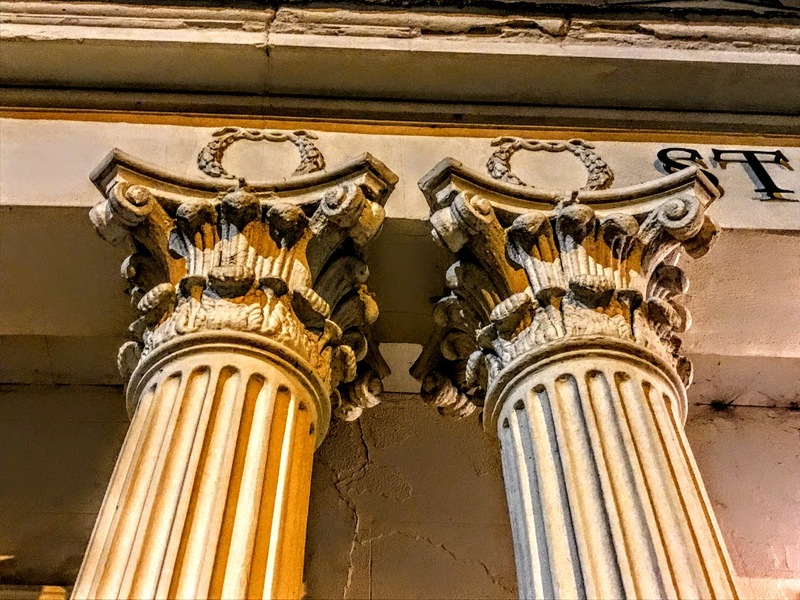 Traditional and natural materials were used, such as lime, horse hair, reclaimed glass and wood – along with blood, sweat and a few tears! Today, St John’s House is a treasure trove. During his work on the house, Johann Popp came across many interesting items, including the original living room mantelpiece that had been buried in the garden. The former billiards room still has the old billiard cue holder in the corner and also has a Victorian open fireplace for winter months. Part or all of St Johns House incorporates the former Bear Inn. During the renovations, hundreds of oyster shells were found in the garden, indicating the house was an inn at the time when oysters were eaten in large quantities in public houses. The Bear Inn first appears in local records in Lichfield in 1698 and it is marked on maps of Lichfield since at least 1766. It stood opposite the entrance to Throgmorton Street, now known as Frog Lane. The Bear Inn was one served by one of three Lichfield stage coach services. Giles Tottingham ran the Lichfield Flying Wagon from Anglesey in North Wales to London, using the Bear Inn as a staging post. The journey took only four days, and so the Bear Inn was once an important stage on the journey between Dublin and London in the 18th century. Neighbouring inns and public houses in Saint John Street included the Lord Nelson and the Robin Hood, which stood on either corner of Frog Lane, opposite the Bear Inn. The Lord Nelson was incorporated into Lichfield Grammar School as part of the living accommodation in the mid-19th century, and later passed to Lichfield District Council; the Robin Hood was levelled within the last two decades. When the Bear Inn ceased being a pub around 1815, the house was renovated extensively in the Regency style. 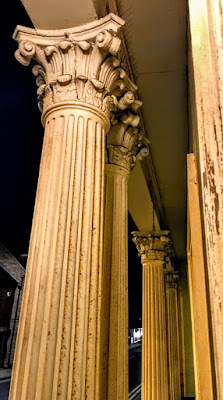 The portico, with its columns and pillared cove, dates from this time. 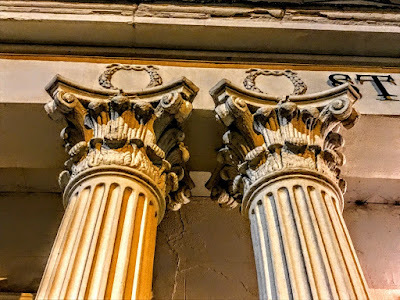 The site British Listed Buildings says the four-bay colonnade on the ground floor has columns modelled on those of the Tower of the Winds in Athens, with three pairs and a single columns to the ends, a frieze with wreaths over the columns and a cornice with a blocking course. Other features from this time include the decorative stucco façade, including the pedimented windows on the first floor (where I am staying in the Victoria Room), and much of the cornicing and plaster-work. The south wing was added in Victorian times, along with the stables, and some fireplaces upstairs were replaced. William East Holmes, who owned St Johns House in 1849, probably built the stables and one of the rooms in the stables is named after him. Later, the house was owned by Frederick Simmonds, an iron merchant, and then by Archdeacon John Allen, the Master of Saint John’s Hospital, which is only a few doors away. He was followed by Mrs Susan Coyney, a Mrs Young, a Major Matthews, and Mrs Louisa Dawson, a haberdasher. In 1902, a local colliery proprietor named Peake owned St John’s House. It was renamed Peake House and the Peake family lived here for over 50 years with their daughters. Saint John’s Preparatory School was housed here from about 1958, but the school moved to Longdon Green in the early years of this century. Dan and Elly Ralley acquired St Johns House in August 2012. Having fallen in love with the building, they set about bringing the building back to life. This includes a rear extension, which is now the Pavilion Room, acting as the main function room at the house. They have taken great care in restoring the features of the house and have combined contemporary furnishings with classic antiques to create a very stylish, warm and friendly place to stay. Elly is a self-trained chef with a real flair for home cooked cuisine which is very popular with customers, and Dan and the team run the place from a front of house perspective. The accommodation includes 12 individually styled bedrooms, of which 11 are doubles and one is a single; eight are located in the main house and four in the stables across the courtyard from the main house. 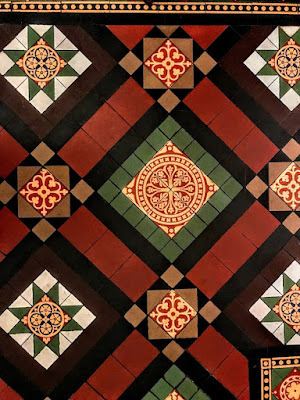 Many of the Victorian features have been restored, including the fireplaces and the encaustic tiles, perhaps by Craven Dunnill. The names of the rooms reflect the history of the house, including Francis, Coyney, Tottingham, Holmes, Peake, Simmonds and St John’s Suite, as well as the Terrace, and the Victoria, Peacock, Cottage and Garden rooms. 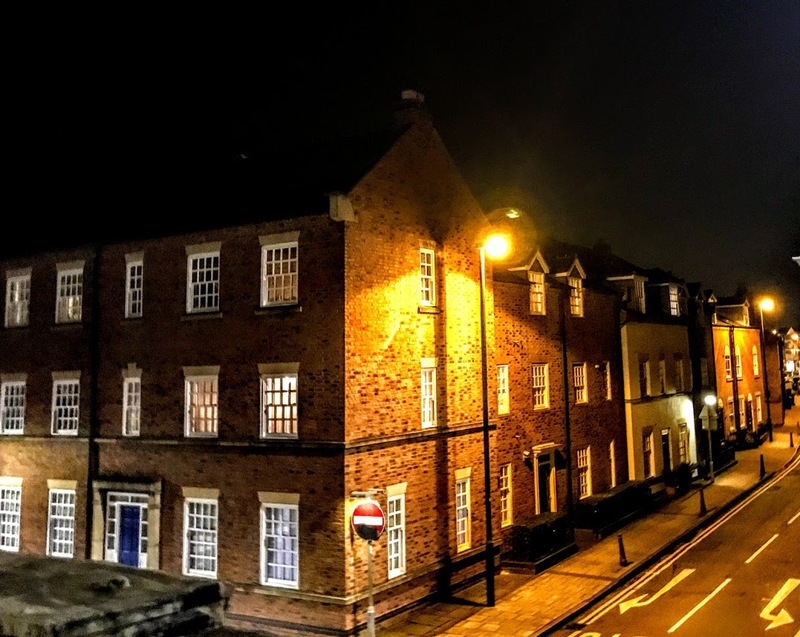 When I arrived last night, Dan immediately upgraded me from the Holmes Room to the Victoria Room, with a view onto Saint John Street at the junction with Frog Lane. St Johns House Bed & Breakfast is located on Saint John Street in Lichfield and further information can be found at http://www.stjohnshouse.co.uk/. 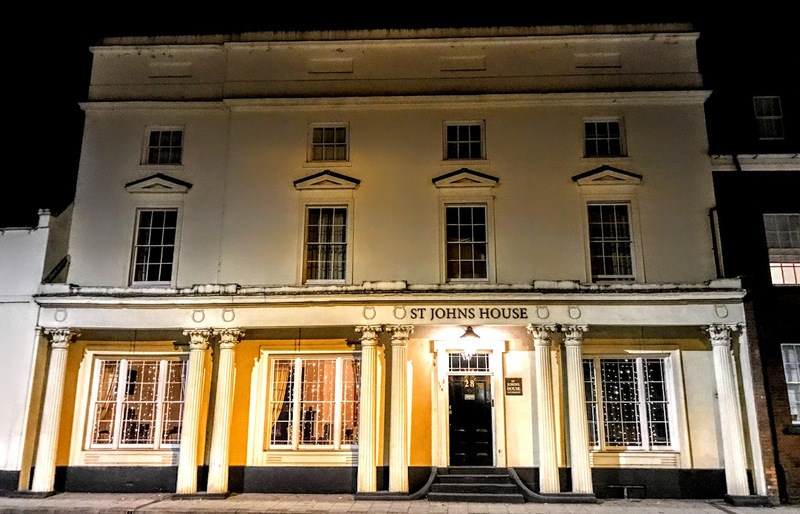 St Johns House can be contacted at: 01543 252 080.